Already canceled (and many believe that it was destined to be because of its very late debut), I still think that this show had some great comedic potential. The second episode was a bit absurd, but funny, especially when taken with a grain of salt. The third only had some select moments and seemed to rely heavily on one-liners, but the characters are still being developed. Speaking of which, I found it weird that Tony didn't try to check up on Jack at all in "Now You See Me, Now You Don't," but he was back to his old ways and beyond in "Beachwood Approved," so no harm there. Still, the best line from either installment was definitely "I am a fraud and I need your assistance. How would you like a new roof?" Can you think of any better ones? 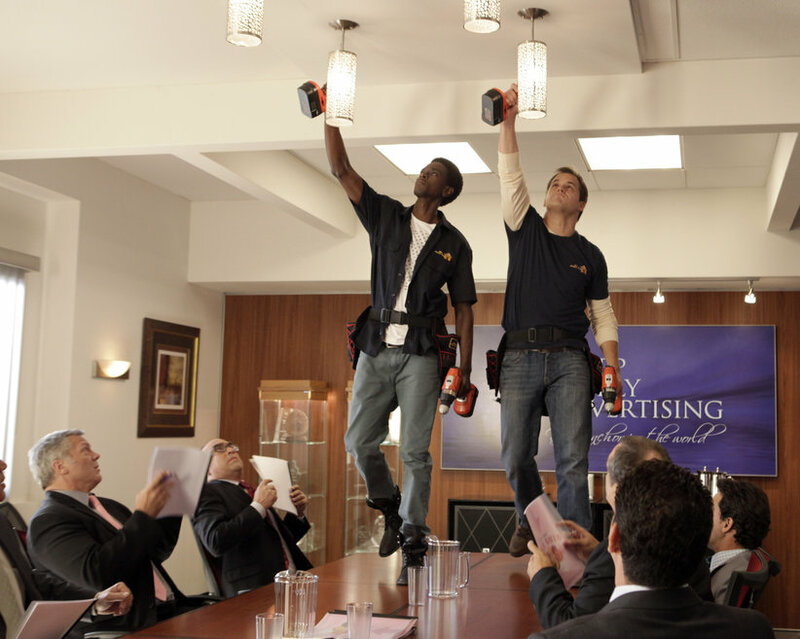 Family Tools "Now You See Me, Now You Don't" (S01E02): Jack and Darren are working at an office where the "toolbelt effect" is clear. See, in "white-collar country," guys with tool belts don't exist. Therefore, Jack and Darren mess around to see if anyone notices them. Everything changes, however, when Jack takes off his tool belt to tend to a coffee spill, as multiple people welcome him to the advertising office as a new employee. [they played it up a bit, but this was annoying.] When an old high school classmate, Wendy, chats with him, he claims to have 70 vans and be a hot-shot CEO, a charade that he keeps going for a few days. I have enjoyed reading your article, That's truly nice, Keep sharing like this..